The FAA will present individual plaques to these four National Honorees in July during EAA AirVenture 2015 in Oshkosh,Wisconsin, and their names will be added to the large permanent plaque located in the lobby of the EAA AirVenture Museum. Also included in the prize packages for the four National Honorees are all-expenses-paid trips to Oshkosh to attend the awards presentation and other special GA Awards activities. Mary A. Schu of Tualatin, Oregon has been named the 2015 National Certificated Flight Instructor of the Year. She currently owns and operates Mary A. Schu Aviation, providing Designated Pilot Examiner (DPE) services and free-lance flight instruction in the Portland, Oregon area, as well as conducting 4-5 Flight Instructor Refresher Courses (FIRCs) each year.She also operates Mary A. Schu Consulting, providing program support for business, government and educational entities who are developing or adding aviation programs. Mary has been an active flight instructor since 1977, with more than 20,000 hours of flight time logged, including more than 14,000 hours of instruction given.She holds ATP and CFI certificates for airplane single and multiengine land and instruments, and is type rated in the Cessna Citation 500. She is a DPE for private, commercial, instrument, ATP and flight instructor checkrides in single and multiengine airplanes, and also for sport pilots. Mary grew up on a wheat farm in eastern Washington, and was driving a tractor at age five. Her dad and three brothers took her to car races, and she secretly dreamed of becoming a race car driver. She earned a BS in Psychology and Child Development at Washington State University, and an MS in Education and Learning Disabilities at Western Oregon University. She holds teaching credentials in Oregon, and taught in the public school system until she found her true passion: teaching aviation. 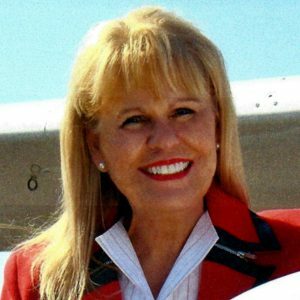 For 23 years, Mary owned and operated Wings of the Cascades in Redmond, Oregon, a comprehensive aviation school taking pilots from first flight to an aviation career complete with a college degree; Wings closed in 2011. Her previous flight instructing experience included stints at Western Skyways, Kansas State University and the KSU Flying Club, FlightSafety International, Utah Valley State University, and Delta Connection Academy. She also served as a contract pilot for jet, turboprop and piston aircraft for ten different companies. Donald D. Streitenberger, Jr. of Cincinnati, Ohio has been named the 2015 National Aviation Maintenance Technician of the Year. Don is Chief Inspector for The Kroger Company at Cincinnati Lunken Airport, where he is responsible for directing inspections of Kroger’s fleet of bizjets, establishing methods, techniques and practices used to comply with all applicable FARs and manufacturer recommendations, and approving aircraft for return to service. He started working for Kroger as a line mechanic nearly 30 years ago, and has been Chief Inspector for more than 11 years. He holds FAA certificates as a Repairman and a Mechanic with Airframe and Powerplant ratings and Inspection Authorization (A&P/IA). Don has served on the board of directors of the Ohio Aircraft Technicians Society (OATS), which is the Cincinnati chapter of the Professional Aviation Maintenance Association (PAMA). During that time, he has served as President, Vice President, Secretary and Treasurer of OATS. He as facilitated and taught numerous OATS-sponsored IA renewal seminars at Cincinnati State Technical College, and for years has been deeply involved in helpingto put on the annual Lunken Airport Days Aviation Career Fair. He has also been involved in the local Boy Scout Aviation Merit Badge program, served as Ramp Boss for Lunken’s annual airshow, and been a FAASTeam member..
Ricky D. Hestilow of Arlington, Texas has been named the 2015 National Avionics Technician of the Year. 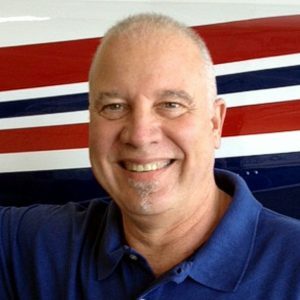 Rick has had a widely varied 40+ year career in the aviation maintenance field, but for the past decade his primary focus has been on achieving professional recognition and certification of aircraft electronic technicians (AETs). This phase of RIck’s career began when he drafted several grant requests submitted to the National Science Foundation, which resulted in $1.3 million in funding for the National Center for Aerospace & Transportation Technologies (NCATT). Rick serves as NCATT’s Program Director, Director of Standards and Certification, and Director of Accreditation. In these roles, he helped develop industry standards for avionics technicians, developed an education and training curriculum for avionics and aircraft electronics technicians, and created a testing program for certification of AETs. Most recently, he has been working on the development of certification standards for technicians working on Unmanned Aircraft Systems (drones). Christopher J. Hope of Kansas City, Missouri has been named the 2015 National FAA Safety Team Representative of the Year. Chris first volunteered as an FAA Aviation Safety Counselor more than 10 years ago. When that program morphed into the FAA Safety Team in 2009, Chris became a FAASTeam representative. According to his FAASTeam Program Manager, Chris has been one of the most active and most self-motivated reps in Kansas City District. During the past 12 months, he has conducted 11 safety seminars. In 2013, he founded the Kansas City IMC Club that meets monthly to discuss real-life issues of instrument flying. Chris holds ATP, CFI and GI certificates. He is a Gold Seal CFI and Master Instructor. Chris has been a volunteer pilots for the EAA Young Eagles program since 1992, with over 500 youngsters flown. He as served as an Angel Flight mission pilot since 2001, and since 2013 has served as Chairman of the Angel Flight Central Safety Committee. In 1969, Chris graduated from the United States Air Force Academy with a BS in Civil Engineering. He then went through pilot training at Sheppard AFB and C-141 school at Altus AFB and served as a C-141 pilot for the Military Airlift Command out of McChord AFB for three years. In 1974, he returned to the Air Force Academy as a flight instructor, and concluded that teaching aviation was his true calling. He enrolled in the business school at the University of Northern Colorado, graduating in 1977 with his MBA degree. 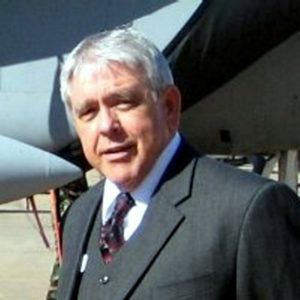 From 1977 to 2005, he worked as a civil engineer while doing free-lance flight instruction. In 1997, he became involved in the KCN Flying Club, now the Kansas City Flying CLub. He has served as Manager and President of the Club, and currently serves as Chief Flight Instructor. In 2008, Chris started submitting articles to various flying publications. 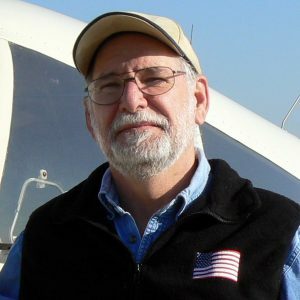 His articles have been published in EAA Sport Aviation, AOPA Flight Training, NAFI Mentor, and Aviation News. In 2013, he became a regular columnist for Aircraft Owner magazine.